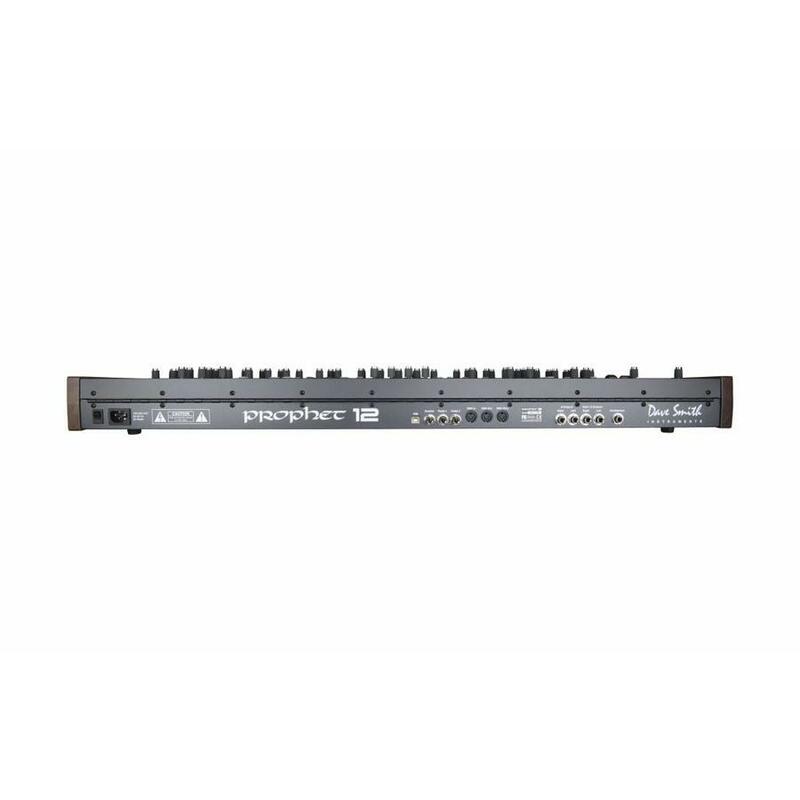 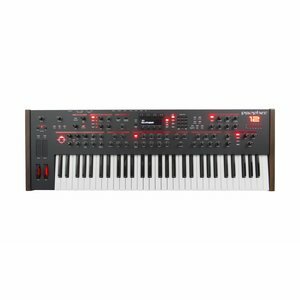 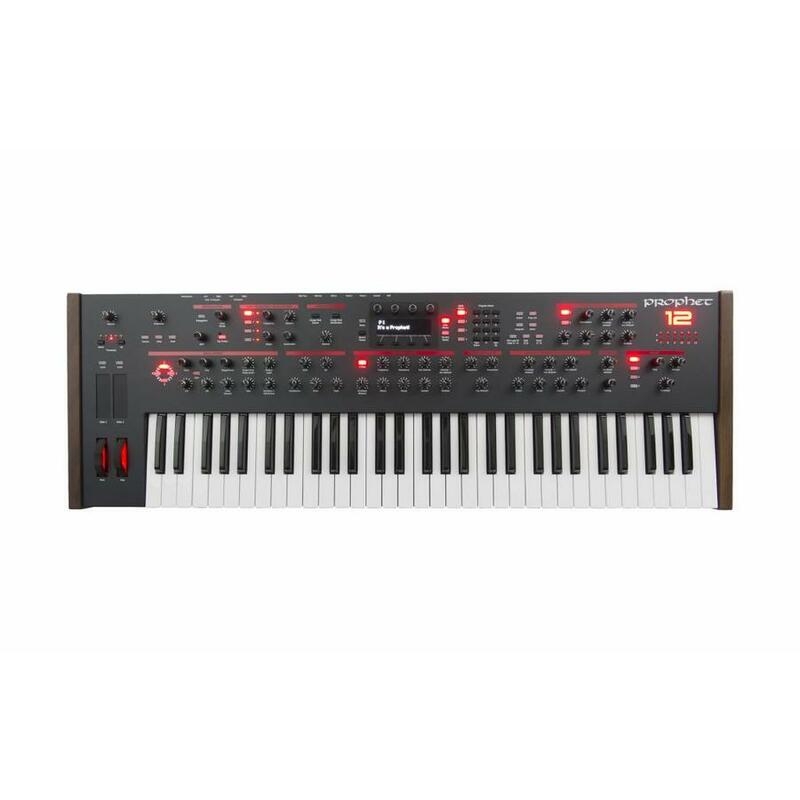 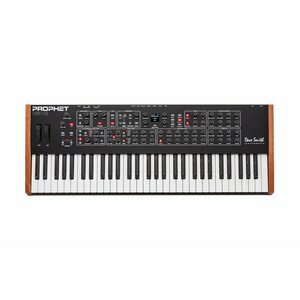 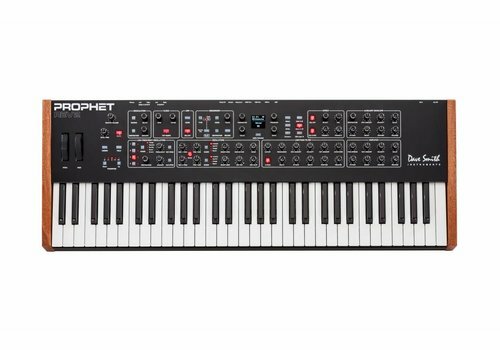 The Prophet Sings — The Prophet 12’s brand new hybrid voice has a digital front end followed by an all analog signal path output. 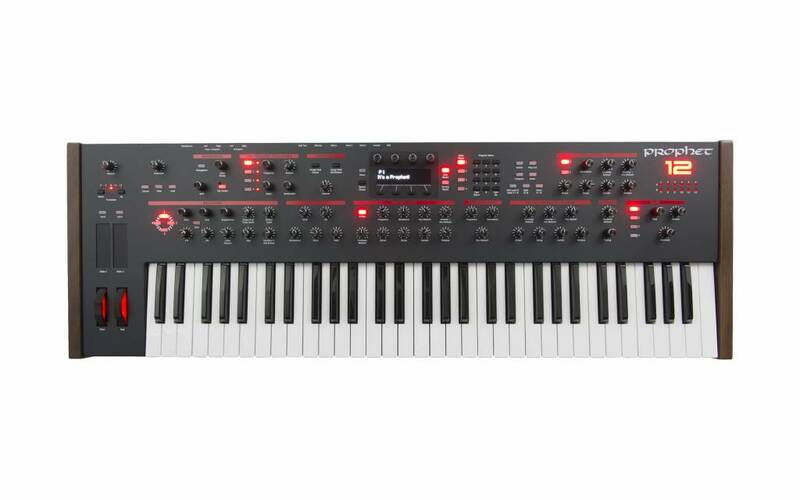 Each voice has four high resolution digital oscillators (plus a sub oscillator), a digital character effects section, a resonant Curtis low-pass filter, a high-pass filter, a tune-able feedback circuit, a four-tap delay line with feedback per line, four loopable five-stage envelope generators, four syncable LFOs with slew and phase offset, a sophisticated arpeggiator, and a sixteen slot modulation matrix with 26 mod sources and 97 modulation destinations. 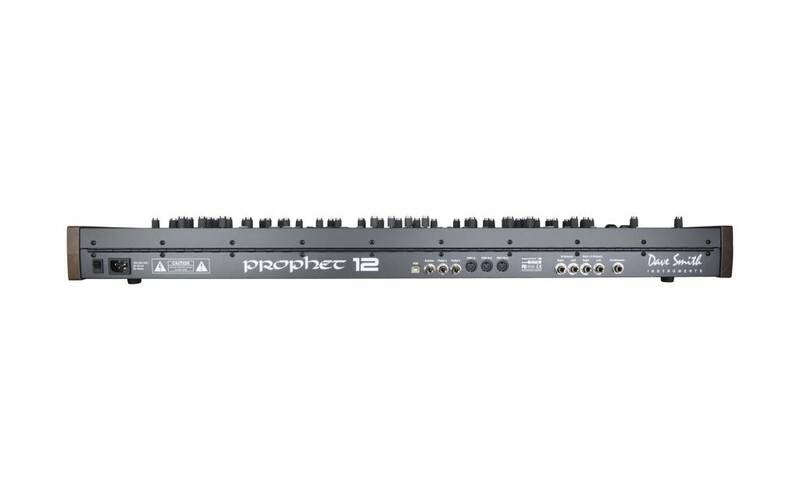 The Prophet 12 is packed with a plethora of sonic potential and power! 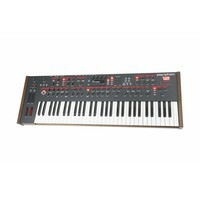 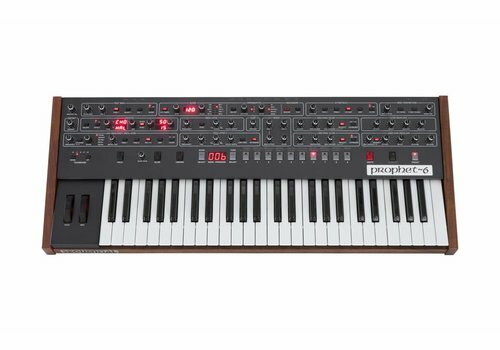 The Prophet Controls — The Prophet’s sleek and instinctive interface invites full control of the synth. 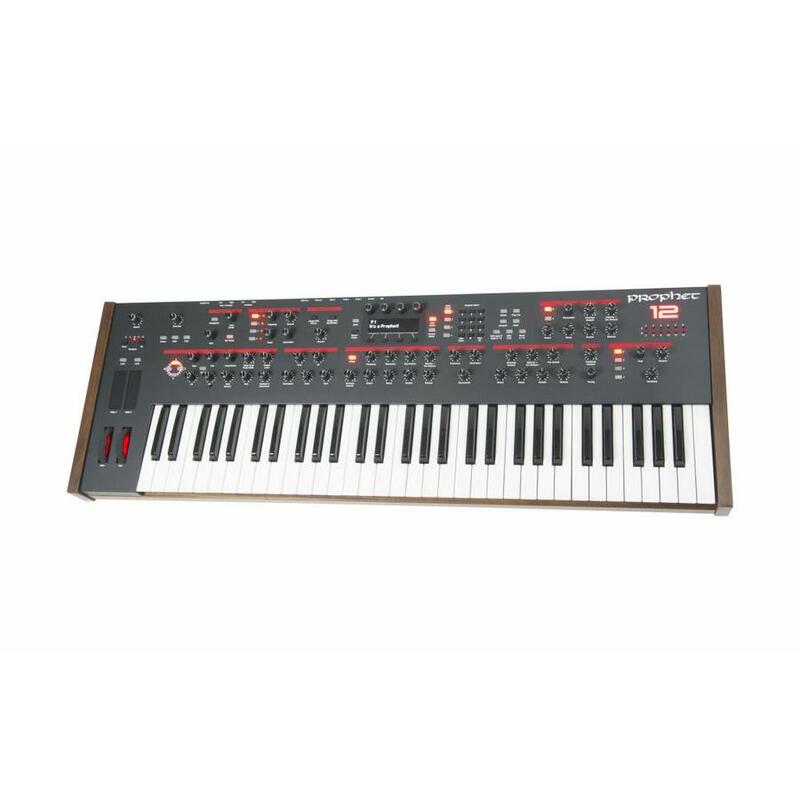 Every parameter is fully programmable and editable from the front panel. 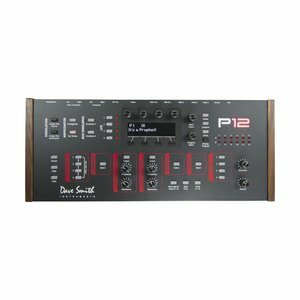 The controls are laid out in a coherent and logical fashion allowing quick and precise access in the studio and on stage. 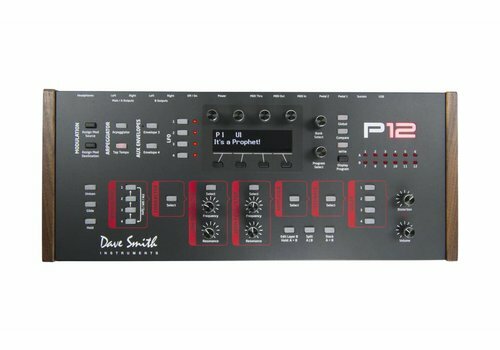 A Prophecy for the Future — The Prophet 12 is the most cutting edge hybrid synthesizer on the market and defines what a modern polyphonic synthesizer is. 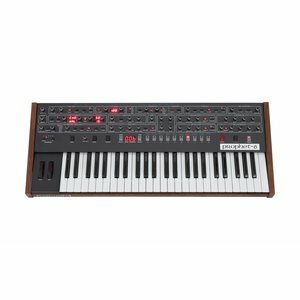 Designed and manufactured in San Francisco, the Prophet 12 has a glorious combination of form and function in a sturdy, yet refined and elegant build. 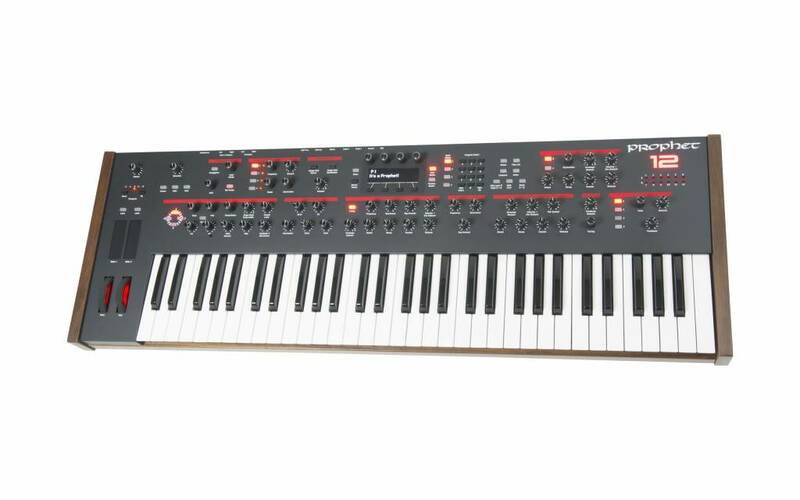 PROGRAMMABLE DISTORTION — Independent programmable stereo analog distortion per layer.